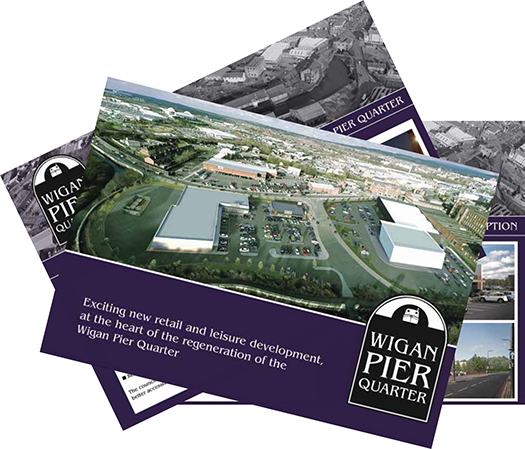 This was a one-off project to market the development of a neglected part of Wigan. Working alongside Wigan Council, The Canals and Rivers Trust and the developers; H2O Urban we developed a brand identity for the project. We went onto to carry out aerial photography for the project and design and print a 16-page brochure as well as designing and producing large scale external signage for the site.